One of my amateur radio interests is low power (QRP) equipment and operation, using power outputs of 5 watts or less. I enjoy experimenting with QRP equipment, which is easier to build than higher power rigs. Although, at home, I normally operate CW at 100 watts output, I often use QRP power of 5watts of CW on the HF bands. I find 5 watts of CW to be ample power for European QSOs on the 20, 30 and 40 meter bands if used with a reasonable outside antenna. To use QRP with indifferent antennas is usually a source of frustration and is best avoided, especially if it is desired to consistently work DX. Outside contests, I tend to favour using simple home made equipment for QRP instead of my main transceivers. 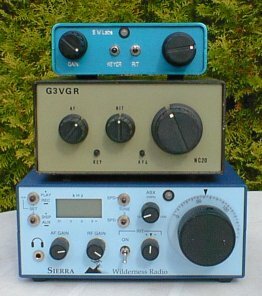 The photo on this page shows 3 of my QRP transceivers (all made from kits). Click on each one for further details. There are a few contests and activities organized by the various QRP clubs and most major contests include a QRP section. Prior to building my K2, I used an Icom IC735 for contest operation and had adjusted it to run at under the 5 watt level. This only required some internal adjustments. Both the K2 and IC706mkIIG run comfortably at QRP levels also. Outside contests, I tend to favour using simple home made equipment for QRP instead of my main transceivers. The photo on the left shows my 3 of my QRP transceivers, click on each one for further details. QRP and home construction are natural partners and this appears to be one of the last refuges for hams interested in the technical aspects of the hobby. Many QRP kits are available on the market and plenty of designs for equipment of varying complexity are available. The Internet has proved to be invaluable in helping to promote QRP in the ham community. QRP clubs are very active and well supported. It's no problem nowadays to be an active member of a QRP club which is in a distant country. 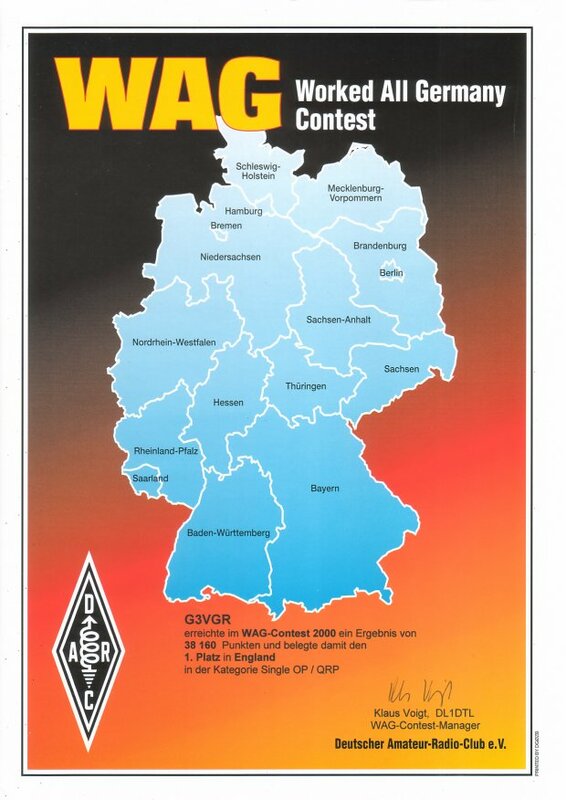 I am a member of the G-QRP Club and their quarterly magazine "SPRAT" has many equipment articles ranging from quite simple to more advanced rigs. None of the designs require a QRPer to have deep pockets. At the Hamradio convention in July 2017, Hans Summer was demonstrating the QCX, a new single board, single band CW kit. This rekindled my dormant interest in Amateur Radio, so in September 2017, I ordered one for 30m. There is a long waiting time for this kit due to so many orders being placed. My kit arrived at the beginning of November and I hope to build it some time soon. I have a suitable enclosure in which to mount the PCB. In the meantime, I've been following the QRP-Labs reflector to stay informed of mods, tips and other builder's issues.